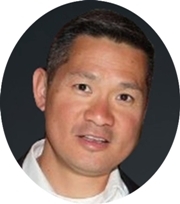 Khai is a managing partner at Leading Path Consulting and is a highly versatile, top performing executive with over 17 years of IT and Business consulting experience. He has a proven track record of delivering measurable success to Fortune 100 companies and is a results-oriented technology leader employing hands-on engineering, leadership, critical thinking and operational skills to extract business value from technology. Prior to joining Leading Path Consulting Khai was an executive at Accenture and also a co-founded of Pure Integration, a niche IT consulting firm. Throughout his career, Khai has demonstrated expertise in Business and Technology Strategy, Systems Engineering, Business Development, Quality Assurance, Solution Architecture and Delivery, Product Management and Project Management for today’s customer-centric technology systems. Khai graduated from Thomas Jefferson High School for Science and Technology, received a Bachelor of Science in Computer Science and a Master of Science in Information Systems from George Mason University. CEOCFO: Mr. Chau, your website indicates “Where Strategic Thinking Meets Expert Implementation.” How is this so? Mr. Chau: Leading Path Consulting is an award-winning Management Consulting firm based out of McLean Virginia. We specialize in providing our clients with proven solutions in Management Consulting, Technology Enablement and Operational Effectiveness. Our tagline comes from the wealth of industry specific experience our consultants have working with Fortune 500 companies. This in-depth experience allows our consultants to better understand our client’s strategic intent and align their designs and solutions accordingly. CEOCFO: Would you give us an example of a typical project and maybe something more outside the box? Mr. Chau: We’ve been lucky enough to have our clients engage us to help them solve some of their most significant challenges across each of our three service offerings. As part of our Management Consulting service offering, a Fortune 500 company in the Hospitality space engaged us to help them develop a future workforce strategy to address changing environmental conditions as well as evolving products and services. Once the strategy was created, Leading Path was brought on to help test the solutions including new job designs, strategic partnerships and flexible staffing at target hotels across the U.S. leading into a broad role out of the final solution. As part of our Operational Effectiveness service offering, a Fortune 500 Financial services organization engaged Leading Path to identify both revenue and cost saving opportunities across its entire portfolio of BankCard operations. Through this work, we identified opportunities, led process improvement, and organizational design initiatives resulting in a $12 MM increase in net annual profit as well as operational savings exceeding $20 MM annually. In conjunction with our Technology Enablement offering, we’ve been engaged to design and develop business critical systems for several top tier Media and Communications companies. Solutions include the design, development and deployment of new products and services while helping improve both our client’s internal systems and their ability to deliver a better customer experience. CEOCFO: How do you keep up with the ever-changing technology? Mr. Chau: At our core, we are technology enthusiasts and as a result, we keep a close pulse on the technologies that are most important to our clients. With that said, we are careful to balance the “new and shiny” with what is right for our clients. We do this by understanding our client’s strategic objectives and technology roadmaps to ensure we deliver best-cost / right-fit solutions. Mr. Chau: The majority of our work comes through referrals from past clients. We are proud of this and are strong believers that the best way to get great work is through delivering great work. My partners and I were lucky enough to have strong relationships with past clients. The reputations and trust we built then primed the pump for the excellent client base we enjoy today. CEOCFO: What are some of the intangibles you look for in your people and how do you know you have the right people? Mr. Chau: Simple. First, we look for individuals who consistently demonstrate the key traits we find in our most successful consultants. These include talents such as critical thinking, problem solving and the ability to work in grey space with little to no direction. These talents, along with industry knowledge and project specific skills, ensure we are hiring energized and motivated people who are set up for success. CEOCFO: Do you find that most of your clients implement the changes you propose? Mr. Chau: The short answer is “yes”. In many cases, we’re asked by our clients to come to the table with a specific proposal or recommendation, which we then help them implement. We also collaborate with clients, as we did recently with C-level executives from a major Hotel company, to aid in the development of business-critical strategies. We’ve continued to work with this company to help them implement their vision. CEOCFO: You have done work with federal and state governments; is that a big part of what you do? Mr. Chau: We’ve done both federal and state government work. In the government space, most of our current work is within the intelligence community. That has been growing for us and I think it will continue to grow. As a company, we have relatively equal portions of commercial and government work. This has provided a nice balance allowing us to share methodologies, best practices and technologies between the two. Mr. Chau: We are mainly on the east coast. We have some work in the Midwest but the majority of our work goes from Florida up to New York. CEOCFO: Do you expect that to continue? Mr. Chau: We would like to expand to some other clients out in the west as well but most of our growth, in terms of bringing resources into our company as well as clients, has been more or less organic and connected to relationships we have here in the East. Mr. Chau: Business is going well. We have grown around 70% in the last seven months. We’re getting a significant amount of referrals from some recently completed projects and we’re enjoying the challenge that’s come with this growth. Mr. Chau: We’ve definitely seen a change in our clients in terms of spend and strategic growth. Several of our key clients have recently taken a less conservative outlook and are making greater investments in new products and services for their customers versus focusing on operational efficiency. CEOCFO: What might be different a year down the road? Mr. Chau: I suspect this trend will continue especially around mobility and cloud computing where we’re already seeing a backlog of requests coming in from our clients. CEOCFO: Why pay attention to Leading Path? Mr. Chau: We are a small consulting company that focuses on our people and our clients in a way that larger companies cannot. Many of us have worked at one of the big-box consulting firms, so we understand the pros and cons of a big company. Our size makes us nimble and allows us to cater to our clients while our experience allows us to bring a lot of value to the conversation. CEOCFO: What should people remember most when they read about Leading Path Consulting? “In my 35 odd years in banking I have never met a greater group of consultants--the partnership was great, the people were great and the product was great. You exceeded my expectations in every category." I think he says it all. We’d love to be remembered for our great people, great clients and great work.